Attorney General Jeff Sessions’ quixotic, hypocritical crusade against weed has reached its boiling point. As the AP reported Thursday, Sessions is rescinding an Obama-era policy from the Department of Justice that helped clear the path to more expansive legalization of marijuana. But it’s still an open question just how much of a change in the marijuana world this move will actually cause, given the ever-rising popularity of legalization among the public and other laws already on the books. The government’s former policy, established in a 2013 memo written by then-Deputy Attorney General James Cole, allowed states to decide for themselves how to handle the prosecution (or not) of marijuana, without much federal interference. Marijuana remains illegal under the federal Controlled Substances Act. The Cole memo provided guidance to U.S. attorneys, particularly those stationed in states where marijuana was made legal, instructing them to only rely on federal law to stop the most egregious of crimes related to marijuana, such as distribution to kids or the trafficking of legal marijuana to states where it’s illegal. This hands-off approach emboldened activists to push forward with state-level legalization campaigns and spurred entrepreneurs and investors to build business around legal pot—a rousing success. There are so far 29 states where marijuana is available medically, eight of which also permit it to be used recreationally, most recently California this January. The memo released by Sessions today does away with that guidance entirely. Instead, it instructs prosecutors to enforce federal marijuana laws at their own discretion; it also reminds them to take into consideration the “federal law enforcement priorities set by the Attorney General” when deciding what alleged crimes to pursue. The Sessions memo, one page long, doesn’t offer any indication of what those priorities could be. But Sessions himself has made no secret of his hatred of marijuana and his belief that it’s a moral rot that “good people” stay away from. He has said that marijuana—a drug that cannot cause overdoses—is “only slightly less awful” than heroin—a drug that kills thousands of Americans every year. Sessions has also allegedly said that he thought the terrorist group the Ku Klux Klan was “OK until I found out they smoked pot.” Trump, uncharacteristically, has been mostly silent about his thoughts on pot legalization. According to Steve Davenport, a researcher on cannabis policy at the RAND Corporation, it’s unlikely Sessions could do much to hurt the medical marijuana world for now, thanks to the Rohrabacher-Bluemenauer Amendment passed in 2014 as a part of a spending bill; it prevents the Department of Justice from spending funds to interfere with medical marijuana state laws. However, the amendment is temporary and needs to be re-approved every fiscal year. The recreational pot industry, however, could be in more immediate danger. “Sessions’ decision has the potential to slow down or even re-shape the burgeoning recreational cannabis industry, but the magnitude of the effect will depend on how this announcement is followed up by enforcement actions,” Davenport said. Sessions’ dream of a massive crackdown on pot is almost certainly out of reach, though. Federal prosecutors and law enforcement authorities only have so many resources available to them to go after pot businesses. And because of how rapidly marijuana legalization has become popular—a recent gallup poll showed that 64 percent of Americans now support it, including a majority of Republicans—many prosecutors will probably avoid rocking the boat, Davenport explained. If anything, a vocal anti-cannabis push by Sessions would only incur a PR backlash, especially given the magnitude and urgency of the opioid crisis, Davenport said. That backlash may already be on the way. “Jeff Sessions’ obsession with marijuana prohibition defies logic, threatens successful state-level reforms, and flies in the face of widespread public support for legalization,” Maria McFarland Sánchez-Moreno, executive director of the Drug Policy Alliance, said in a statement. “Rescinding the Cole memo is not just an attack on sensible marijuana policy—it’s an attack on civil and human rights,” she added. Sessions’ ability to easily do away with the memo should provide a important lesson to pro-pot advocates, Daniel Shortt, a Seattle lawyer who works with clients in the cannabis industry, told me. “The thing to push for is something beyond a piece of paper. I mean, all we’ve had is a memo—a non-legally enforceable document... If we want lasting real change, that means the law has to change. Really, that’s the end game. 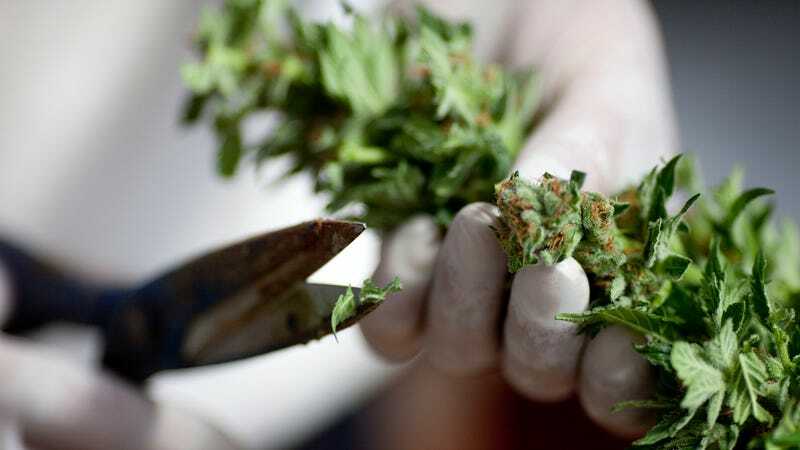 There has to be some change in the Controlled Substance Act that removes marijuana from the schedule of prohibited substances,” Shortt said. “So voters can look at their representatives and senators and see where they stand on this issue—because that’s where the most impact will come from,” he added.